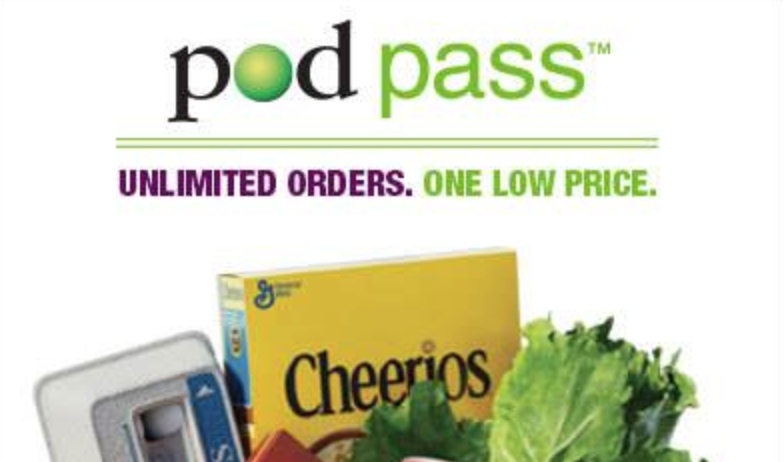 The Peapod division of Giant Food has started charging a $2.95 fee, and now requires a $60 minimum order, for its formerly-free/no minimum Pick-up service. But just as Amazon.com made it tougher to qualify for free shipping while offering unlimited free shipping through Amazon Prime, Giant is balancing the change with a new Prime-like program called Pod Pass. Pod Pass allows you to purchase a 3, 6 or 12 month pass that gives you unlimited, free Pick-up service and/or Peapod delivery service during that time. There is fine print, though. You only get completely free Pick-up/delivery with a minimum order of $100, taxes still apply, and your pass will automatically renew itself unless you sign into your Peapod account to stop it. Much like Amazon Prime, the potential benefit of the new service likely relates to your shopping habits, and the amount you spend on groceries per week. Otherwise, the main news here is no more no-strings free Pick-up, which was a selling point when that service began. Also, there is a free trial Pod Pass promotion currently underway. For more information, visit the Peapod by Giant website.